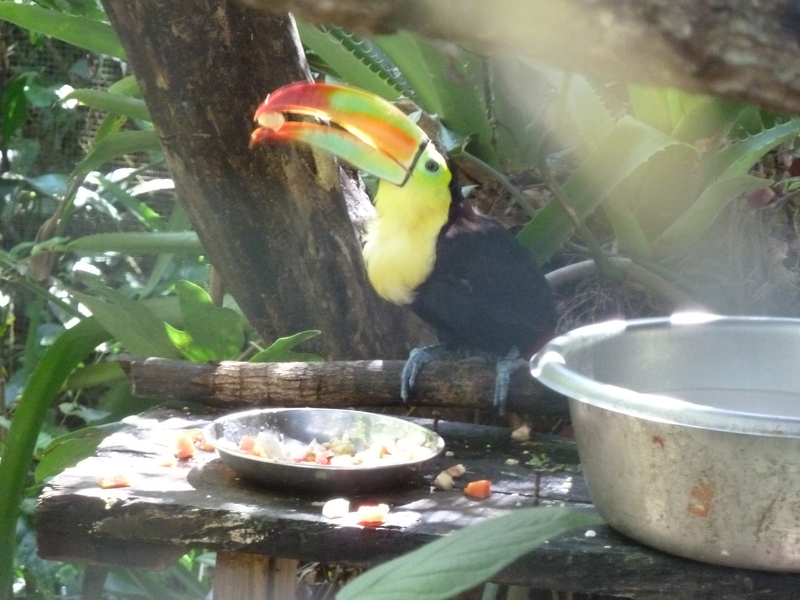 The Keel-billed Toucan, known as the “bill bird” locally, is the national bird of Belize. It’s a beautiful creature known for its outsized bill, which comes in bright shades of yellow, orange, red and green, with some black thrown in. The other day I was relaxing in the yard of my dear friends Jamie and Barb, a couple of Canadian expats who have a terribly relaxing bed-and-breakfast inn overlooking Belize’s big and beautiful Mopan River. Suddenly Barb pointed skyward and shouted, “A toucan!” The three of us grew as giddy as children as the colorful bird came casually gliding right over our heads. Thomas Aquinas said that beauty arrests motion. The sight of something as common as a bird on a limb or a bird in flight, even if it’s not as colorfully exotic as the toucan that “arrested” us, has the power to captivate us and calm us down–to release us from the tension of all our herky-jerky motion. The trick in discovering miracles and beauties and wonders on God’s green earth doesn’t require any magic wand. The trick is in simply waking up to all the magical gifts of God’s grace that are budding, buzzing, flying and simply existing all around us. I will now proceed to spend the next half hour reading up on Rufus Jones, who, until this post, I had never heard of before. Aquinas, of whom I am acquainted, was most certainly correct when he wrote that beauty arrests motion.